Posted August 3, 2009 in Christian Nauck, Loki. 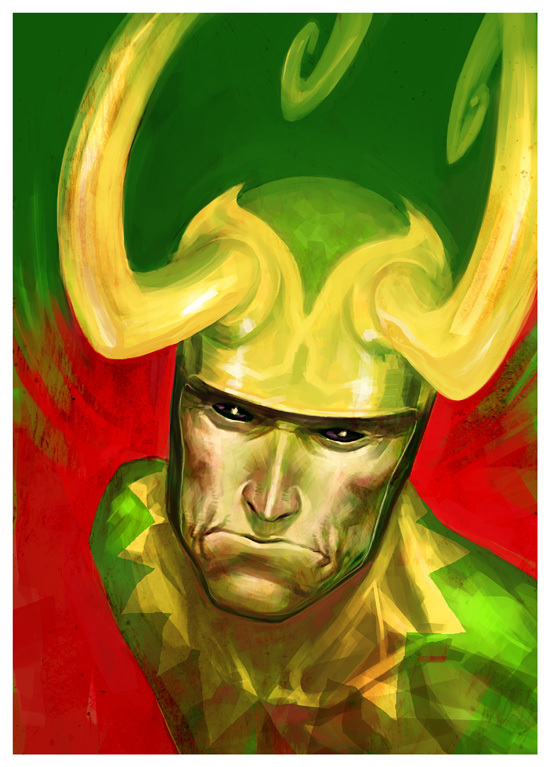 Berlin based Artist Christian Nauck provides this portrait of Loki, God of mischief. Christian is one half of the illustration team Nauck und Schütze and more of his work can be found at his blog, Sketch Fu!, flickr and DeviantArt.